Rural development programs managed under the Leader Initiative approach aid in promoting the economic diversification of rural areas on the basis of substantially diverse measures. The restoration of religious heritage has the potential to be an interesting course of action within the development strategies adopted by local action groups in charge of managing these programs. The district of La Vera is used as a reference as it possesses all of the necessary characteristics to be considered a paradigmatic subject for the case study. This research intends to contrast the relevance that religious heritage restoration acquired within the development strategy adopted by this region. Based on this analysis, the last section of this work will attempt to assess the extent to which the implementation of the Proder Program in the district of La Vera conforms to the characteristics of a sustainable and endogenous rural development model. 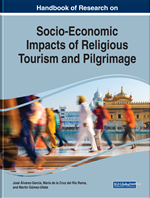 After analyzing both topics, this research aims to examine the extent to which the restoration of religious heritage can constitute a course of action consistent with the model of rural development proposed by this type of program. In the European Community, the inequalities between rural and urban areas originated with the new system of production and consumption established following the Second World War. This system identified rural areas with agriculture, while industrial production was concentrated in the cities. The rural sector was assigned the dual function of producing food for an eminently urban industrial sector while also supplying it with manpower. This was the paradigm in which, during the fifties and sixties, large scale processes of emigration of rural populations towards urban environments occurred; processes that decimated rural populations, decompensating their population pyramids and marking a period of decline and crisis in these areas. During this stage, intensive agricultural mechanization, a result of the productivist bias of the Common Agricultural Policy, also contributed to the expulsion of rural labor. However, in the mid-eighties, the consequences of the industrial crisis on urban unemployment and a variety of problems generated by the Agrarian Policy (surpluses, budgetary costs, trade conflicts, etc. ), forced the European Commission to define a new strategy to replace the approach that had been based on agricultural development and shift towards one that focused on rural development. Redressing the inequalities that were found in the most disadvantaged rural areas became a priority objective of the Structural Funds and of the Community's regional development policies. This is the context in which, in the early nineties, the European Commission approved the first call of the Leader Initiative. An initiative of an experimental nature and with a novel approach that aspired to promote the economic diversification of the rural environment with the fundamental objective of retaining the population in these areas. The Leader Initiative generated enormous expectation within the European rural community; so much so that some member states, such as Spain, supplemented the subsequent demand for the aforementioned initiative with national programs that would allow rural districts that had been excluded from it to apply for a development model similar to that proposed by the Leader Initiative. Currently, the Leader approach is applied in almost all European rural areas. Unproductive Measures: Unproductive measures are those whose main source of financing is derived from a public source. These measures are directed towards the restoration of the rural heritage or to the daily operating expenses of the technical team in charge of managing the program. Proder Program: Due to the high expectations generated by the announcement of the Leader Initiative and its mobilization in rural areas, the Spanish authorities implemented a national program that promotes the application of the development model proposed by the Leader Initiative in territories that lacked access to the above-mentioned community initiative. Productive Measures: Productive measures included in the Leader and Proder programs are considered to be those whose main source of funding comes from the contributions of private promoters. In both programs there are three measures: 1) rural tourism; 2) SMEs, crafts and services; and 3) assigning value to agricultural production. District: This is the field of action where a rural development program is designed and implemented. It implies the definition of a homogeneous territory that is larger than a municipality and smaller than a province or region. Rural Tourism: Both development programs are structured around a number of measures, including the promotion of rural tourism. In the rural environment, the development of the tourism sector requires public investment in order to enhance the tourism resources in the region. Religious heritage is a prime example of these resources. Local Action Group: Given the implicit characteristics of the proposed rural development model, the Local Action Group is responsible for defining and implementing the development strategy. Its composition must faithfully reflect that of its territory by giving representation to a variety of social groups in its governing bodies in order to generate interest in the population towards the development processes that are undertaken. Leader Initiative: An initiative of the European Commission that emerged at the beginning of the 1990s and promotes the implementation of a sustainable and endogenous rural development model.